Young oceanographers, scientists, and mentors from the University of South Florida College of Marine Science’s Oceanography Camp for Girls participated in 3 days of fieldwork aboard R/V ANGARI. ANGARI Foundation was part of 2017’s Oceanography Camp for Girls in St. Petersburg, FL. Over the course of three days, campers took part in collecting scientific measurements at a number of Tampa Bay sites. Methods included water sampling with Niskin bottles, otter-trawl sampling, sediment grab sampling, plankton tows, secchi disk measurements, and nutrient analyses. Thank you to the Florida Institute of Oceanography for supporting this expedition by providing additional scientific gear and dockage for R/V ANGARI. 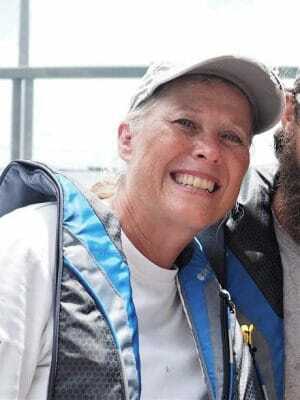 Dr. Teresa Greely is a Biological Oceanographer and Science Educator at the University of South Florida where she provides expertise in the areas of biological oceanography, ecological physiology, marine fishes, and ocean science education. She has broad research interests that encompass teaching and training about the ocean sciences in three areas: graduate and undergraduate education, teacher education, and ocean literacy amongst youth. Dr. Greely currently coordinates four education programs: The Oceanography Camp for Girls (OCG), the In-service Teacher Oceanography Workshops (In-TOW), the National Ocean Science Bowl’s regional Spoonbill Bowl competition, and the OCEANS Teaching Fellowships.